SERIOUSLY! STOP TREATING ME LIKE A BABY. I think Superman was throwing Conner in the air like some parents throw their toddlers and Conner likes it. 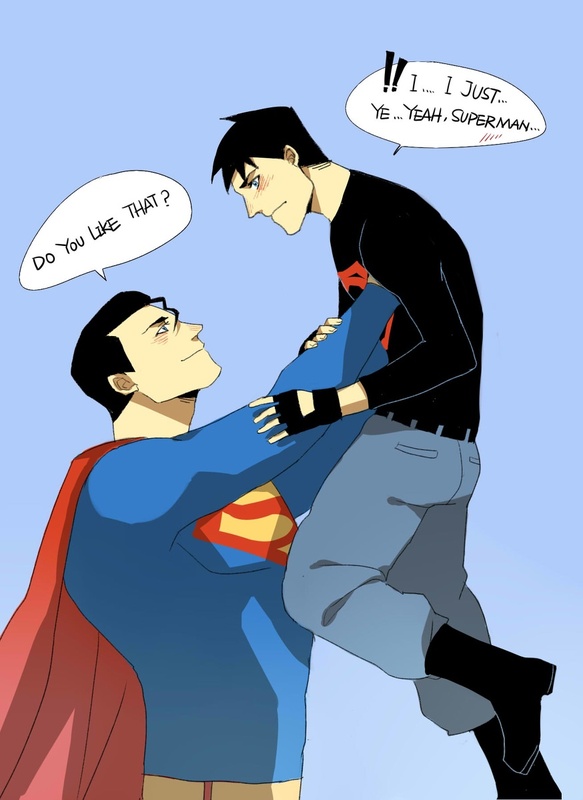 HD Wallpaper and background images in the La Ligue des Justiciers – Nouvelle Génération club tagged: young justice superboy superman conner kent clark kent.